StateCraft Chief Executive Officer, Adebola Williams will share insight on electoral campaigning across the African continent on the 26th of April at The Jackson Institute. The Jackson Institute for Global Affairs is an interdisciplinary institute within Yale University that aims to prepare Yale students for global leadership and service. 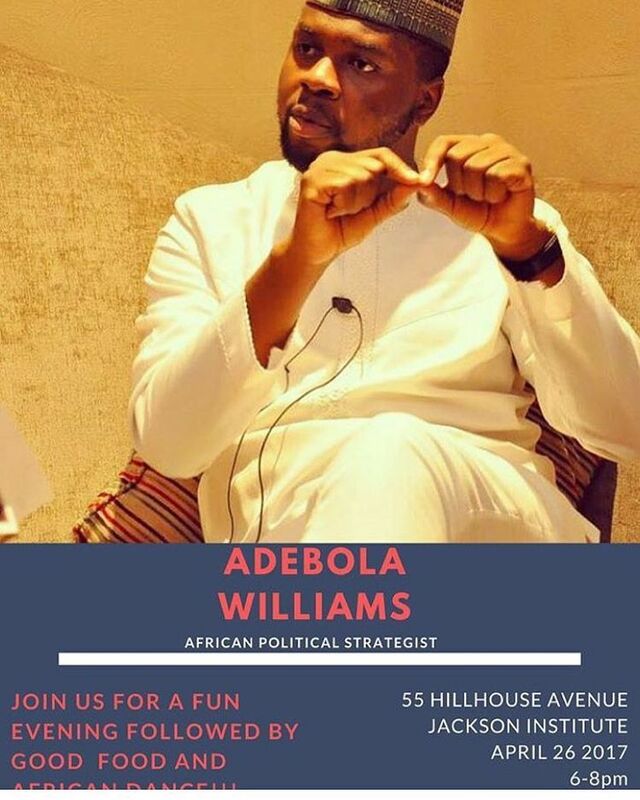 The event themed, “Evening with Adebola Williams: African Electoral Strategist” will be chaired by Eddie Mandhry, Director for Africa, Yale University. Adebola Williams is expected to draw on his experience of actively managing the communication aspect of presidential elections on the continent. He is also expected to offer his opinion on the state of electoral politics within the continent and the solutions his company (StateCraft) proffers.